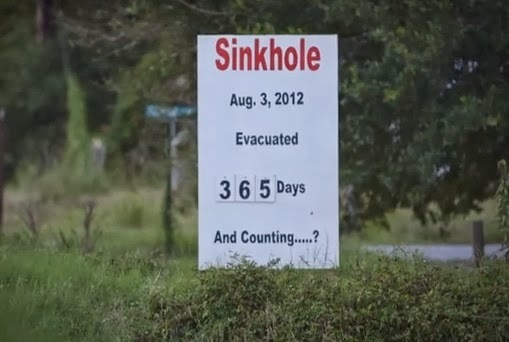 The first video below is an update on the town of Bayou Corne, Louisiana that is still suffering the damage from the 2012 sinkhole that won’t stop growing. Started small and is now 20 football fields big and new reports show that underwater bubbles are starting to surface miles away from the original sinkhole which is indicative of “potential enormous expansion,” (Video 2) as the town continues to lose more and more ground. News reports and interviews with town resident’s give an idea of what the town has and continues to suffer as this sinkhole that seems to have a life of it’s own, continues to take more and more away from them.